December 12, 2017 Copy Protect – Prevent data duplication with the latest update. November 17, 2017 Folder Lock 7.7.2 – Improved compatibility and some minor bugs have been fixed. November 08, 2017 Folder Protect – Minor bugs fixed and the compatibility of this application has been improved. September 08, 2017 USB Secure brings you improved security and the latest update has fixed the minor bugs! August 28, 2017 The latest version of Folder Lock 7.7.1 has improved UI & minor bugs have been fixed. April 10, 2017 USB Block – Compatible on Windows 10 and the Minor Bugs has been fixed. February 20, 2017 All new app Cloud Secure launched! 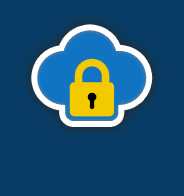 Secure your google drive or dropbox with Cloud Secure. February 6, 2017 All new Fast Cleaner & Phone Booster for Android launched. January 09, 2017 USB Secure version 2.1.0 comes with a brand new user-interface design. December 01, 2016 Folder Lock 7.6.4 Released! November 17, 2016 USB Secure 2.0.6 Released – Security for your on-the-go data! October 25, 2016 Folder Protect 2.0.2 released! October 04, 2016 Folder Lock 7.6.3 released – stronger security, better protection! Aug 19, 2015 Folder Lock Advanced launched! June 30, 2015 USB Secure updated to version 2.0.3! June 26, 2015 Copy Protect updated to version 2.0.2! June 10, 2015 Folder Lock updated to version 7.5.2! May 29, 2015 Folder Protect updated to version 2.0.1! May 20, 2015 Social Media Vault now available for Android! May 19, 2015 Notes lock now available to download for iPhone! 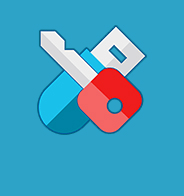 Mar 25, 2015 App Lock & Gallery Vault now available for Android! Mar 13, 2015 All new File & Password Vault now available for iPhone! Mar 06, 2015 Speaking SMS & Call Announcer now available for Android! Feb 19, 2015 Secure Photo Gallery now available for Android! Feb 19, 2015 Secure Photo Gallery now available for iPad users! Jan 15, 2015 Folder Lock Version 7.5.1 now available for download! Jan 14, 2015 All new Hide SMS and Call Recorder privacy app for Android released! 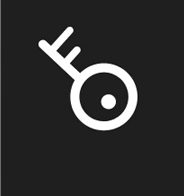 Jan 14, 2015 All new File & Password Vault for Windows Phone launched! Jan 6, 2015 Secure Photo Gallery for iPhone launched! Nov 25, 2014 Folder Lock Lite 7.5.0 launched! Nov 6, 2014 All new Folder Lock Version 7.5 is now available for download. 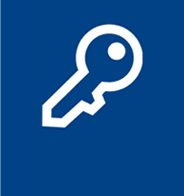 Sep 19, 2014 Secure Photo Gallery 1.0 for Windows Phone now available. Sep 17, 2014 Folder Lock for iPad v 2.0.0 revamped for 2014. Aug 12, 2014 Folder Lock Pro for Android launched with exclusively new features. July 21, 2014 Folder Protect version 2.0.0 launched in response to rising popularity. June 25, 2014 Folder Lock Version 7.3 Released with improved Secured Backup capabilities. June 06, 2014 USB Block version 1.6.0 released with enhanced security and brand new user interface. May 27, 2014 USB Secure v2.0 revamped with more dynamic security features and a brand new interface. May 21, 2014 All new Folder Lock for iPhone 2.0.0 now available to download on the app store. Feb. 27, 2014 Folder Lock 7.2.5 released, updated with new anti-hacking algorithm. Dec. 23, 2013 Macro Key and History Clean full versions are now available for free! Dec. 3, 2013 USB Secure 1.8.0, A more advanced and user-friendly version of USB Secure launched! Nov. 21, 2013 Folder Lock for Android 1.0.0 launched in response to rising concerns for Android data Security. 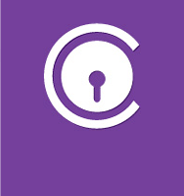 Sep. 23, 2013 Folder Lock for Windows Phone version 1.0.0 released in response to rising incidents of Smartphone theft. Mar. 12, 2013 Folder Lock version 7.2.0 released in response to rising theft of corporate data. Dec. 25, 2012 Folder Lock Lite v7.0.1 is released! Dec. 4, 2012 Folder Lock 7.1.8, A Safe for your PC! Jun. 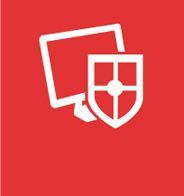 10, 2012 Folder Lock 7.1.0 launched, boasting a User-friendly interface and enhanced security! Dec. 21, Folder Lock for iPhone & iPad v1.6.5 is released! Aug. 10, USB Secure – Now with added protection! Aug. 7, What Truly Makes Folder Lock 7 Best-in-Breed Data Protection Software. Aug. 1, You Asked, We Listened! Jul. 29, The Guru of all things Data Security! Jul. 7, All New! Folder Lock 7 launches soon!